During a splendid sunny day, with unusually mild temperatures for New York City at this time of year, on Friday, 3 February, our much anticipated event of the EOC was held at the United Nations. Together with the different speakers, we arrived to New York from all over the world (Alexis from Burundi, Claudia from Brazil, Nikko from the Philippines, Elizabeth from Boston, John and Dan from Indianapolis, and other young people from Boston and New York City) between 1 -2 February, just in time to decide together the last details of the program and to be in tune. The forum that was assigned to us was one of the main meeting halls, with a lot of space and two big screens for our Powerpoint presentatiaons. About 50 people participated, among whom 20 representatives from various NGOs and UN delegates of different nations. 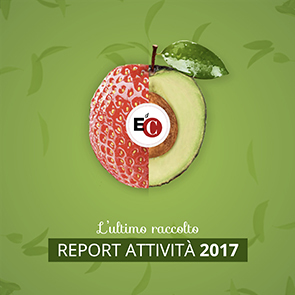 The even was organized by New Humanity, the non-governmental organization that represents the Focolare Movement, with general consultative status to the Economic and Social Council of the UN (ECOSOC). It is not easy to specifiy which nations were present, but for certain there were representatives from Africa, Europe, the Caribbeans and North America. In his excellent introduction, Archbishop Francis A. Chullikatt, Delegate to the UN for the Permanente Observer Mission to the Holy See, underscored the importance of promoting an integral human development at all levels today, drawing from various points of the encyclical Caritas in Veritate. John Mundell introduced the economy of communion in the current context of the global economic crisis, highlighting the innovative elements that this pilot project offers. Cláudia Herrero Martins Menegassi and John Paul Dominic Flores Yumul (Nikko), two young people who respectively came from Brazil and the Philippines, entered more in detail, describing the context in which the EOC was born, in Brazil of 1991, and also explained about the culture of giving and our perspective on poverty, the main theme of the 50th Session for Social Development, of which this presentation was a “side event.” Following this, Alexis Nsabimana, a young man from Burundi, spoke and offered his experience from Africa, where the Economy of Communion is encountering strong community values typical of this continent, and explained how they provide a fertile terrain for it. John Mundell and Elizabeth Garlow then spoke, introducing the business management style of the EOC, supporting it with some experiences of EOC companies, among which that of Dalla Strada: from these witnesses emerged the network of relationships that connects the different businesses. At the end, a group of young people read the "Messagge of the Youth of Sau Paolo to the World": this was a very significant moment. The way the young people articulated their message was particularly very effective. Bishop Francis A. Chullikatt, took notes during the entire presentation. A dialogue then followed with the participants. In this section, Hugh Timothy Duggan, consultant for the delegation of the United States to the UN, asked us if we would be interested, as EOC, in participating in the program at the UN called “Global compact” which - with its 8,700 adherents from 130 nations - is the largest intiative on the social responsibility of existing businesses voluntarily run. According to him, in fact, it would be positive to include the EOC businesses, as representative of the small-medium size businesses in this realm. He was very happy to see so many young people and he asked us what marketing schemes we foresee using to promote the products and services offered by the companies of the EOC. We responded that we are working on this area to discern new opportunities for e-marketing and e-commerce. I can conclude by saying that overall, it was a very successful event: the EOC was really welcomed by everyone present and its introduction in this particular context constitutes a seed that, even though small, is important. In preparation for this conference, a Document was presented containing, in addition to the message from the Youth of Brazil, the particular experience of the EOC with regards to the session dedicated to “Eradicating Poverty Through Fraternity” and concrete proposals on the taxation of the CDS and on the Tobin Tax. This document is available on United Nations website in English, French, Spanish, Chinese, Russion and Arabic.